So who is Ryan McRyhew? Well, it’s hard to find much information on the guy. I do know he’s an electronic musician(as in he makes music using electronic boxes and keyboards ‘n such, not that he himself is electronic) from the Denver area. He’s played in a few different bands, such as The Devil Made the Dinosaurs, Thundercade and Hideous Men, a project he helms with his wife, Kristi Schaefer. He also has a musical project called Thug Entrancer. It’s the one that got my attention. It’s the one I’m listening to right now as water boils on the stove top. Back in April when I was rummaging through the Software Label’s musical roster Thug Entrancer was one of the bands that really peaked my interest. 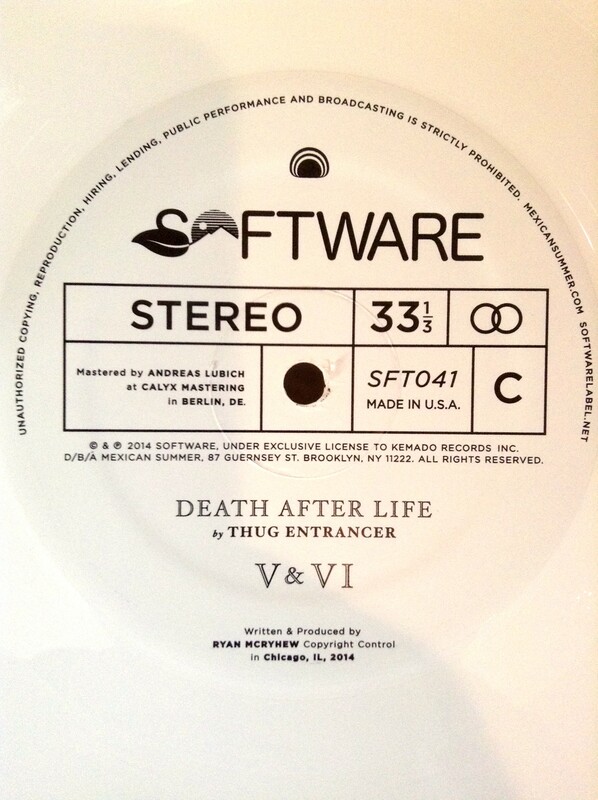 There’s something quietly sinister about the music on McRyhew’s Software label debut, Death After Life. This is night time music. This is the soundtrack for dark city streets, burnt-out street lights, and the faint rumble of bass in the far off distance. Alleys shadowed and billowing steam from gutters and the possibility of danger at every corner. This is the electronic beat of anxiety, restlessness, and unknown impulses. In my middle age I’ve become rather fond of electronic music. 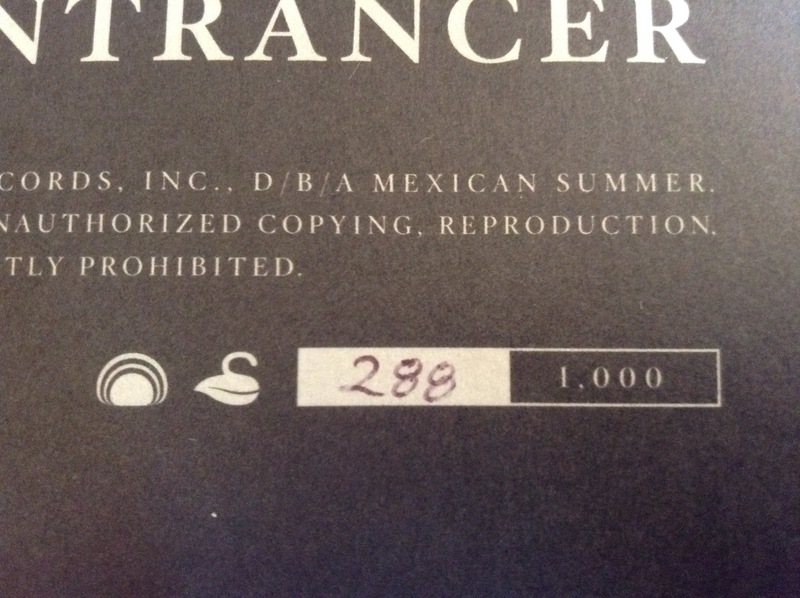 In-particular the kind of electronic music that takes you somewhere while at the same time you’re not having to move. You can get lost in your own head and thoughts while the beats, noise, static, and hum helps you move along effortlessly into some existential plain. Or, you can listen to it in your Lazy Boy and a beer in your hand quite comfortably. Thug Entrancer’s music is hypnotic, refrained, mysterious, and still at times rather booty-shaking. It’s my kind of weirdness. 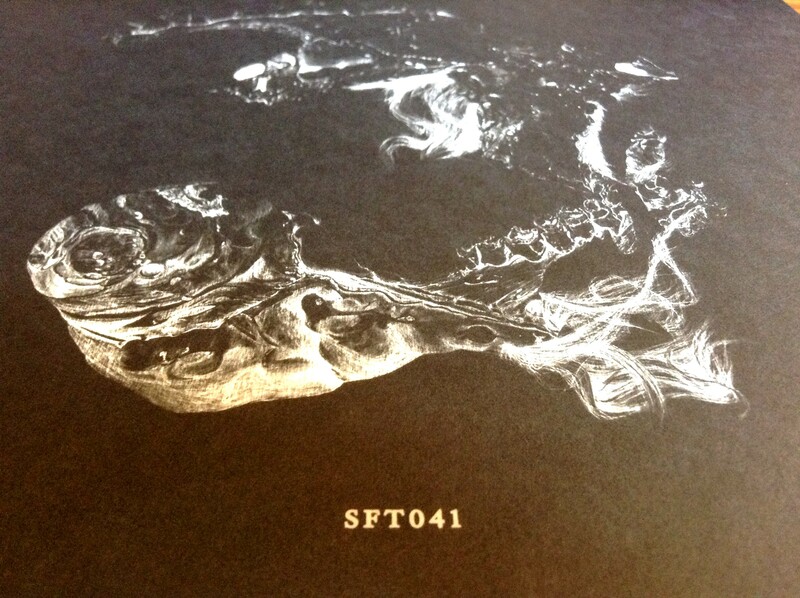 This first full-length for Software called Death After Life is filled with dark corners, propulsive beats, and experimental moments that I find fascinating. If you could imagine an album like Cluster’s Curiosum, some early John Carpenter scores, and a touch of dark wave thrown in then you’d have an idea of what’s going on here. Death After Life is broken up into 8 parts. While not some sort of concept per say, there is a definite cohesion between the pieces. Moving from simple beats that build into noisier excursions, there is a feeling of both dance floor experimentation and hip hop-infused beats; to more psychedelic and noise territory. For me, I can tell how good a record is by how it makes my family react when I’m listening. As I spun Thug Entrancer the first time through I got the perfect reaction from my son. “It’s like robot music!”, said my son as “II” played through the Pioneer tower speakers in the living room. Then as “IV” descends into a cacophony of electro feedback and wave form abuse(much like a circuit board being put through extreme stress then lit on fire), my son began gyrating about like an android short fusing. At that point I knew I had a keeper. So in my middle age, I’m finding that I’m quite loving music twenty years ago I’d a stuck my nose up at. Thug Entrancer would’ve been put in the “get rid of” pile when I was 21 years old. I can’t really be mad at that idiot I call “me” back then. Times were different, tastes change, people change. It was the mid-90s and Oasis were at the top of the charts. I was finding my groove with Gaz Coombs, Lenny Kravitz, and Filter. I was beginning to find a love for Randy Newman and Thelonious Monk. Music created with Roland TR-808s, SH-101s, and a Wiard 300 System weren’t in my wheelhouse. Back then it didn’t compute in my big dumb head that you could create visceral, emotional, and compelling music with the tools of the beatmakers and bootyshakers. I thought you had to have that blood and guts, rock ‘n roll huff and puff shoved between the lines of those songs. Guitars, bass, drums, and vocal cords; those are the only instruments that matter. Well, to some degree I think that’s still right, somewhat. But over the years I’ve learned to appreciate and eventually love what can be done with synthesizers, drum machines, and sequencers. Kraftwerk, Cluster, Suicide, and so many more have made records using synths and beat machines that have moved me as much as Townshend and his windmilling hand impaling has. 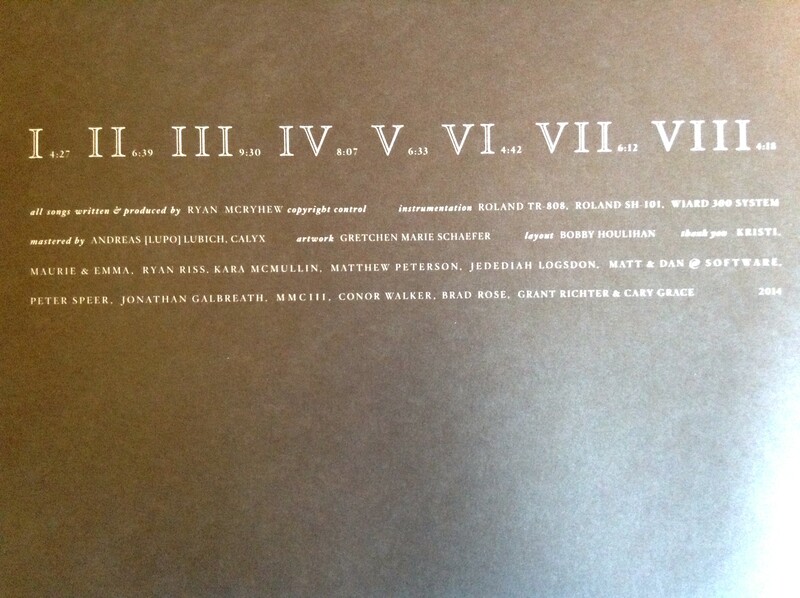 Ryan McRyhew has made a compelling, visceral record in Death After Life. I still don’t know a whole lot about the guy, but I think that makes the record even more compelling. The mystery of its creation lives on in ambiguity. Excuse me, while I kiss the electro sky.